Living by the ocean makes everything else seem small. 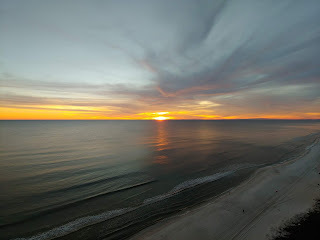 I have only been in Panama City Beach for less than a month, but I’ve already observed a few of the ocean’s many moods. From roaring storms to mirror-like mornings, diamond-studded afternoons and sumptuous sunsets. The power and enormity of the ocean drowns out hateful headlines and Facebook furor. Shutdown? Neither President Trump nor Nancy Pelosi have the power to interrupt our country the way wind and water can. We had an example just a few months ago with hurricane Michael. Panama City Beach survived with only a few scars, but across the bridge in Panama City whole neighborhoods were flattened. Huge churches and restaurants and stores are crumbled heaps of bricks and beams and twisted metal. Makes a border wall seem pretty insignificant. When I arrived on New Year’s Day a rivulet wound its way through the famous sugar-sand beach behind my 20-story highrise. One of the residents told me it was a drain from a wetlands on the other side of the road that had to make its way to the sea. The flowing water had dug its own mini-grand canyon through the beach creating walls kids would climb and seniors would curse. One day, in a sand box fantasy, a bulldozer arrived and smoothed away any evidence of the curvy canyon, replacing it with a simple straight ditch. It seemed so logical and orderly, but before 24 hours had passed I noticed that wind and waves were already changing the course of the man-made ditch into a slight curve. Within a few days the curvy canyon was back and getting a little deeper each day. Seemed like the persistent rivulet had won. Then today a strong wind erased the walls and blew the sand smooth again faster than any bulldozer. The rivulet will have to start carving again tomorrow. I know mankind has been mean to the ocean. Discarded plastic straws, bottles and bags are piling up and creating islands of trash in the sea. Emissions from our cars and smokestacks have created a greenhouse effect that is causing the oceans to get warmer, melting the polar ice and bleaching the coral. These problems are not small by any measure. But as I watch the mighty ocean adapting to every weather whim, I am confident she will survive any onslaught we devise. Mankind, on the other hand, may not. 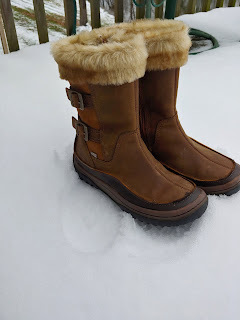 Several years ago I bought some snow boots at the Tent Sale at the Wolverine shoe company in Rockford. They were smart-looking and drastically reduced. Best of all, they were my favorite brand…with a familiar name… Merrells. Never mind that I’ve been spending winters in Florida for almost a decade and hadn’t seen measurable snow in almost as long. These boots were a bargain! And perhaps someday they would come in handy. I stashed them away in the guest closet, kicking myself for buying something I would probably never use. Well, this has been the year to reboot my winter wardrobe. Last April after we returned from Florida I had to leave my car in the shop overnight. And wouldn’t you know it, the next morning when it was time to walk a mile to the shop to pick up my car there was enough snow on the sidewalk that the boots were a necessity. Now it isn’t even Thanksgiving yet, more than a week before we leave for Florida, and I had to pull the boots out again to finish the winter yard clean-up and bring in the hose. There’s a lesson there somewhere: Never pass up a bargain. When I was nine years old — which would have been about the time “You Ain’t Nothin’ but a Hound Dog” was a hit on the radio — I was playing wagon train in the basement with my brothers. A wooden chair toppled and caught my left hand between the table leg and the concrete floor cutting off the tip of my little finger. My mother snatched the sheet that decorated our “covered wagon” and wrapped my bleeding hand and dangling digit. It was a Sunday afternoon so Dad drove to the hospital emergency room. They called our family doctor at home and he told us to just return to the office and he would open it up for us. Dr. Heibert’s office was more like a living room with stacks of old magazines and mismatched chairs. He sat me on the edge of the vinyl lounge in his exam room and placed my hand on one of those rolling tables. He pulled over a big lamp bright enough to give us a sunburn. Mom distracted me with a Little Golden Book she had found in the lobby, “Little Engine That Could” if I remember correctly. She held it up so neither she nor I could see the doctor’s needlework. Under that heat lamp Dr. Heibert reattached my finger tip, while talking to my dad about the difference between suture thread and fishing line. Fast forward more than 60 years. 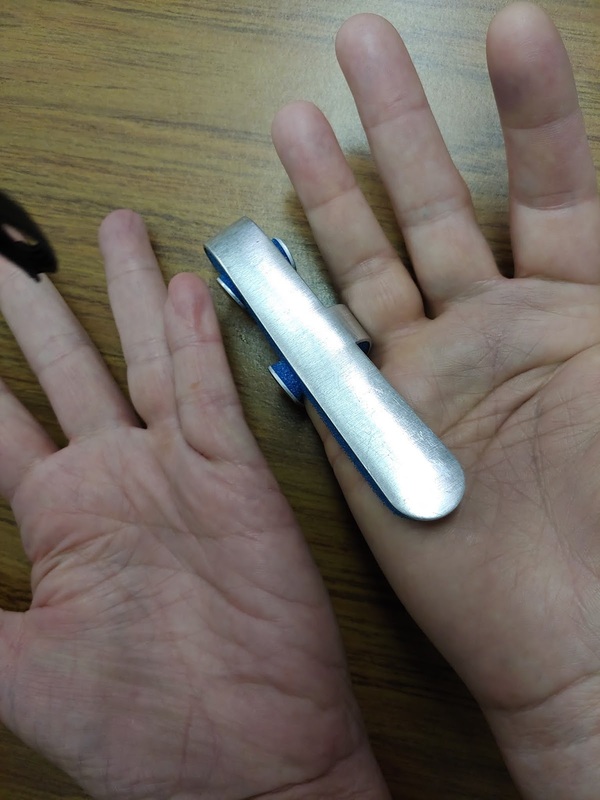 Last Saturday I tripped while walking down a neighborhood sidewalk and broke my fall by extending my right hand. I was thankful that I didn’t break my glasses or skin my knees, but by the next morning my hand had swollen into a black and blue catcher’s mitt. And I had no idea what to do. Daddy has been in heaven almost a decade and Mom is too many miles away to comfort me, so I called my son and daughter-in-law. “Just put urgent care into your cell phone,” Angela suggested. She was right. A list of options popped up complete with hours of operation, distance and directions. Within a few minutes I was standing in line at a MedExpress I never knew existed. And then I was getting irritated because they wanted me to sign a little black box not once but 4 times supposedly verifying I was being informed of this right or that. Wonder how legible a shaky signature from a swollen hand could possibly be? The friendly X-ray tech posed the catchers mitt in positions that would have been acrobatic even in a less painful state, with a grid of fine red lines marking the positions like lasers on a target. The high tech x-rays were read by a well-equipped radiologist somewhere who spotted a break at the base of my right pinkie. “Too close to the joint,” the clinic doc said. He gave me a shiny slip-on sorta cast to protect my finger from bumps and a referral to an orthopedic hand specialist. I waited two days for the referral scheduler to call, and then the call was from an office in Holland instead of Grand Rapids. It would be three more days before a doctor could see me, or almost a week after the break. In the meantime my catchers mitt is healing and slowly returning to flesh color. I’m learning to brush my teeth and start the car with my left hand. And that shiny space age cast that is supposed to keep my pinkie from getting bumped sticks out so far that the little finger is constantly under assault. I know I should be thankful I didn’t break a hip when I fell. And I know I should be pleased there was an urgent care center nearby that’s open on a Sunday afternoon. And I should be happy that science has progressed to the point that there are physicians that specialize in treating hands. But when you are waiting a week for basic treatment it’s hard to call it progress. I miss Dr. Hiebert. Thanks McDonald’s. You may have broken my junk food habit. I try to eat healthy when I am at home, but when I am on the road I reward myself with the tasty, high-fat offerings of McDonald’s. I look forward to it. Today I was driving home to Grand Rapids from Ann Arbor, and even though my friend Kym had sent me off with a fine breakfast of granola and fresh fruit, about an hour into the rainy trip I was searching for golden arches. I spotted a billboard and took the next exit. But just as I was about to pull into the lot I slammed on the brakes. It was closed for remodeling. As I turned around on the street that held no other traffic, I saw two other motorists make the same mistake. I was angry. They advertise to get us to pull off the highway. Don’t they have some obligation to mark that billboard “Closed for Remodeling” instead of pulling us off the highway for nothing? My ire was fueled by the fact that I had a similar experience in July as I was making my monthly jaunt from Grand Rapids to O’Fallon, Illinois. The McDonald’s in Joliet where I usually stop was closed for remodeling. I figured the work would be finished when I took my August trip but no, it was still closed. I guess I should be glad that the company is trying to keep their locations up-to-date, but I hate to be inconvenienced. That’s why I like fast food in the first place! So I was grumbling to myself this morning as I continued my rainy trip. A few exits later I saw another sign for McDonald’s and took the exit. Again I slammed on the brakes. 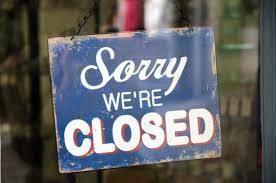 It was closed for resurfacing of the parking lot. “That’s it,” I shouted as I pulled into the Subway across the street. I ordered my first ever breakfast sandwich from Subway with options to choose green peppers and pepper jack cheese to spark up my morning ham and egg. The double whammy of closed McDonald’s has sent me in search of a new purveyor of travel treats to merit my business. Brand loyalty is influenced by many factors. Over the years I have abandoned several merchants after fairly small slights. For decades I purchased all my clothes at JC Penney. About nine years ago, after a credit card dispute, I vowed never to return and I haven’t. I discovered Younkers instead. The quality of the clothes is better and the “Yellow Dot” sale supremely satisfying. I became a big Younkers fan. Unfortunately my purchases were not enough to save the Younkers store at Rivertown Mall, and I am very sad to see it close. But I have no doubt I will find another store worthy of my money. And I will find another reward to nibble on the road. No more McDonald’s for me. A customer’s loyalty should never be taken for granted. Chicago writer Patrick T. Reardon is one of those stylists who can’t answer a simple Q&A for the Writers-World Series. He has to turn it into a feature story. And when you read the list of books under his belt, who’s to argue with success? Here’s a little introduction to the work of “Sparky” Reardon. His talents are more numerous than his monikers. Name: Patrick T. Reardon, aka the Paulina Palooka, the Billikin Bomber, the Count of Clout, and Sparky. Position: Utility writer — historian, poet, literary critic, essayist, novelist, reporter, theologian, book reviewer. Throughout a long career, “Sparky” Reardon has demonstrated the ability to play virtually every position on the field, including editor-manager, and produce a high wins-above-replacement figure. 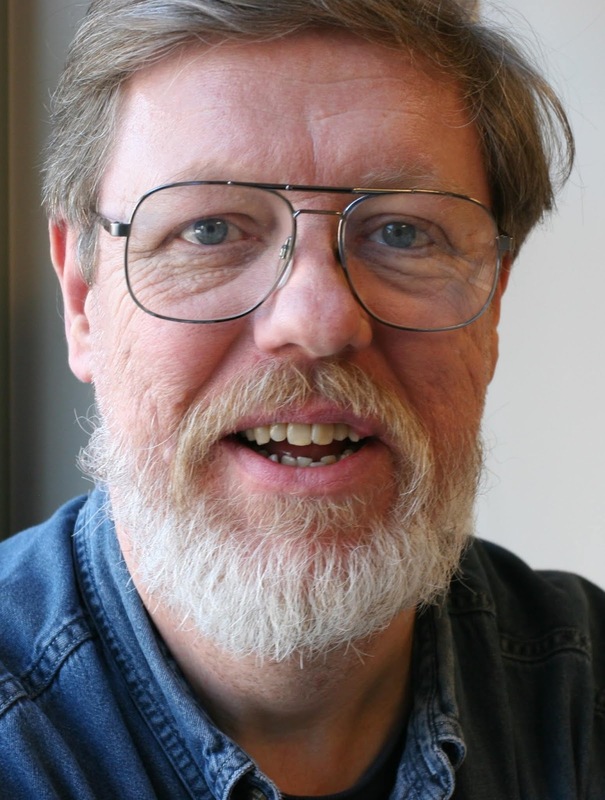 The Count of Clout spent more than 30 years in the Journalism League, nabbing several Peter Lisagor Awards for investigative writing and art criticism and several nominations for the Pulitzer Prize. In fact, in 2001, he was a member of the Chicago Tribune team that took home the Pulitzer for explanatory journalism. In the Author League, the Billikin Bomber published Requiem for David, a book of poems that focused on his childhood and the suicide of his brother. He has authored several meditation books, and an in-depth literary-theological study of Shusaku Endo’s famed novel Silence.As an essayist, he has hit home runs for Crain’s Chicago Business, the Chicago Sun-Times, the Chicago Tribuneand National Catholic Reporter, as well as Reality in Ireland. Interviewed recently after an exhaustive session of revising his long poem “The lost tribes,” to appear in June in Under a Warm Green Linden, the Paulina Palooka was asked if he’d prefer playing every day at the same position, such as historian or essayist. The free agent market has been good to Sparky, landing him a contract with Southern Illinois University Press for his groundbreaking book about the impact of the elevated Loop on the fortunes of Chicago. He also has several smaller manuscripts under consideration from publishers, including a novella. “I love being on the same playing field as my present-day heroes, Robert Caro, William Cronon and Haki Madhubuti, all of whom I’ve had the chance to meet and get to know,” Sparky said. Nothing goes viral faster than a cute cat video…unless it’s a bunch of cute kittens. Crazy Cat Lady Janet Vormittag has lots of fun stories about furry little folks. But she has some tough facts too about the number of animals euthanized each year. You see, pets are not just fun and games, there’s a lot of responsibility too. Janet’s books field the foul balls as well as the home runs. 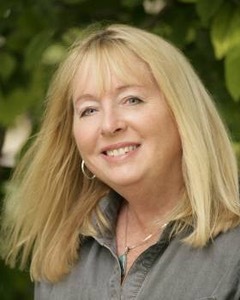 Janet will be joining more than two dozen other Michigan writers this Saturday at the Writers’ Rendezvous in Ludington. 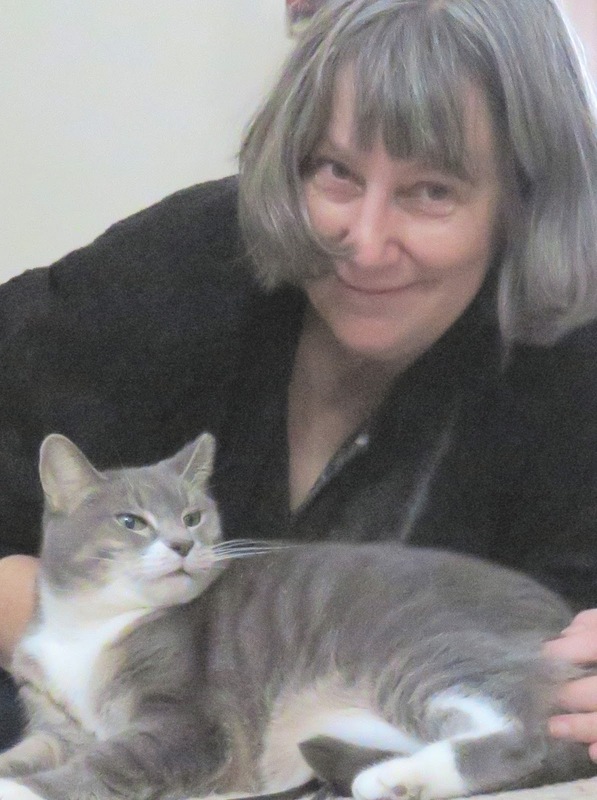 This is a great opportunity to meet the Crazy Cat Lady and get some of her books. Position: Author and animal advocate; publisher of Cats and Dogs, a Magazine Devoted to Companion Animals. Batting average: Humorous Memoir: You Might be a Crazy Cat Lady if … Fictional SAVE FIVE Series: Dog 281, More Than A Number (#3 is simmering in my brain). Last year I came out of the closet …. as a crazy cat lady. To my inner circle, it wasn’t a surprise. Animal issues are the theme of all my books. 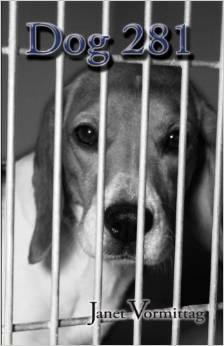 Dog 281, a suspense novel, revolves around dogs used in experiments––product testing and medical research. 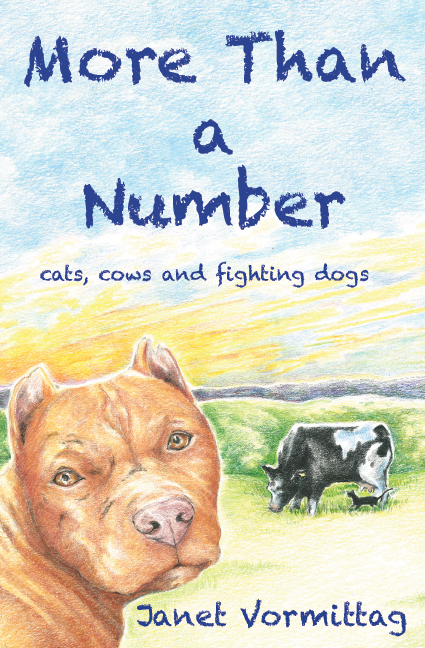 The second in the series, More Than a Number, takes you into the underground world of dog fighting. If you like having your head buried in the sand, don’t read them. You Might be a Crazy Cat Lady if … lightens things up a bit. It’s a humorous look at how I ended up with too many cats. Don’t worry, I’ve learned to say no. Don’t call me if you decided to get rid of your cat. The answer upfront: NO. Considering the positions on a baseball team, which best describes your writing and why? People not involved in animal rescue or animal rights see me as a Left Fielder. In reality, I sit on the bench. Too tied down with too many cats. 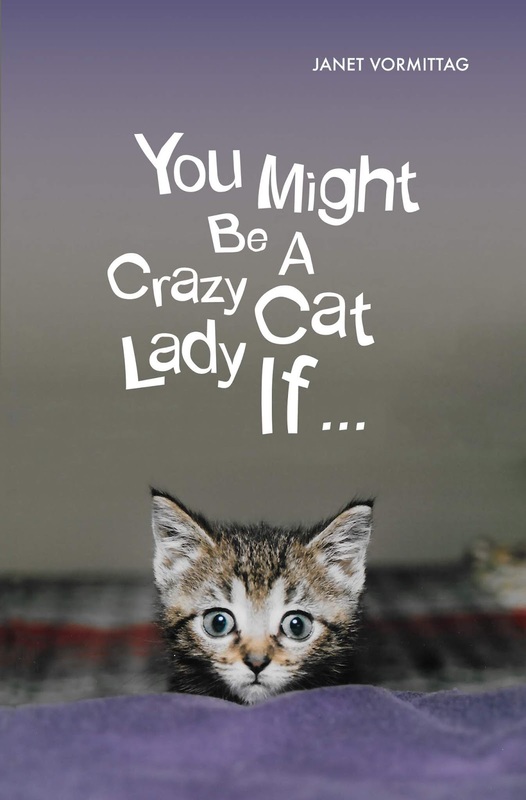 Might be a Crazy Cat Lady if … . I even had the cover made into a magnet, and they sell quite well. On Saturday, July 21, I’ll be at the 2018 Writers’ Rendezvous in beautiful Ludington, MI. It will be held from 10 a.m. to 3 p.m.at the Ludington Area Center for the Arts, 017 S. Harrison St., Ludington, MI 49431. On Saturday, Aug. 4, I’ll be at Michigan Authors at the Lakeshore – Holland, 9 a.m. to 4 p.m., at the Park Theatre, 248 S River Ave., Holland, MI 49423. Come tell what you think of my covers. Every now and then you meet a person with so many irons in the fire that you can’t help but catch a spark or two yourself. Joan Young is just such a person. The list of books she’s written requires its own website. She writes fiction, non-fiction, mysteries, poetry and a regular column for the Ludington Daily News. She has a new book coming out this month in her latest series, mysteries for children. That would be enough for most people but Joan is also knee deep in promoting the annual Writers’ Rendezvous at Ludington Center For the Arts. The event, which is coming up July 21, will feature a couple dozen Michigan authors signing and selling their works as well as chatting with fans and reading excerpts. It’s one of those can’t miss events for Michigan literary types. If you love small towns with all their foibles and yet with a solid sense of community, you’ll feel right at home in the environs of Dead Mule Swamp. 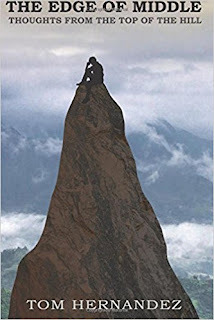 And if fiction isn’t your thing, North Country Cache, my non-fiction account of hiking the North Country National Scenic Trail, received an award from Independent Publishers and has been enjoyed by hikers and non-hikers alike. Considering the positions on a baseball team — such as catcher, shortstop, left field, etc. — which best describes the way you write and why? I’m sure a lot of my friends consider me to be out (way out) in left field, because I’m all over the place. 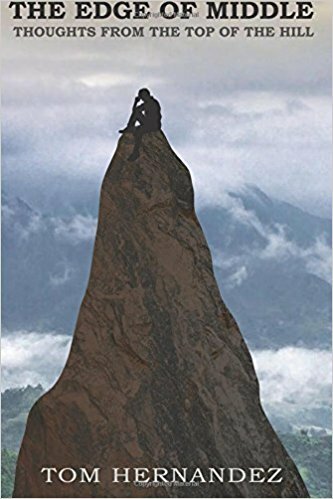 I have written non-fiction about my hiking adventures, faith-based books, mysteries, short stories (humor to horror), poetry, and essays. I like to try new things, and am contemplating the plot of a technothriller. Tell us about your double play: The Dubois Files mysteries are a spin-off from the Anastasia Raven books. 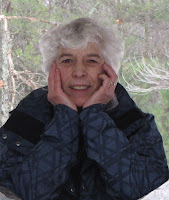 One of Ana’s friends, Cora, has always lived in Forest County, and she has lots of stories to tell (to middle graders, or adults who are feeling nostalgic) about her growing-up years. 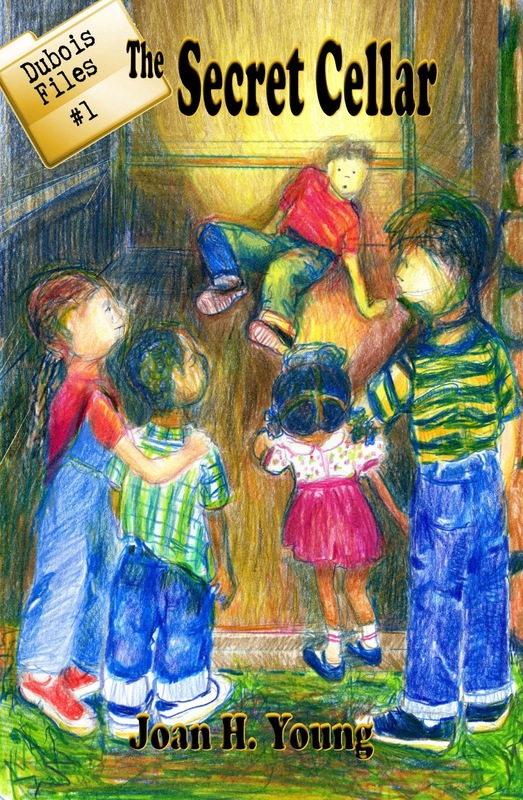 She and her friends have adventures, solve mysteries, and learn about themselves. It’s been a lot of fun to use the same world that was already created, but to take things back in time by 60 years to the 1950s. The fourth Dubois Files book will be coming out near the end of July. No one wins a game alone. Who’s on your team? 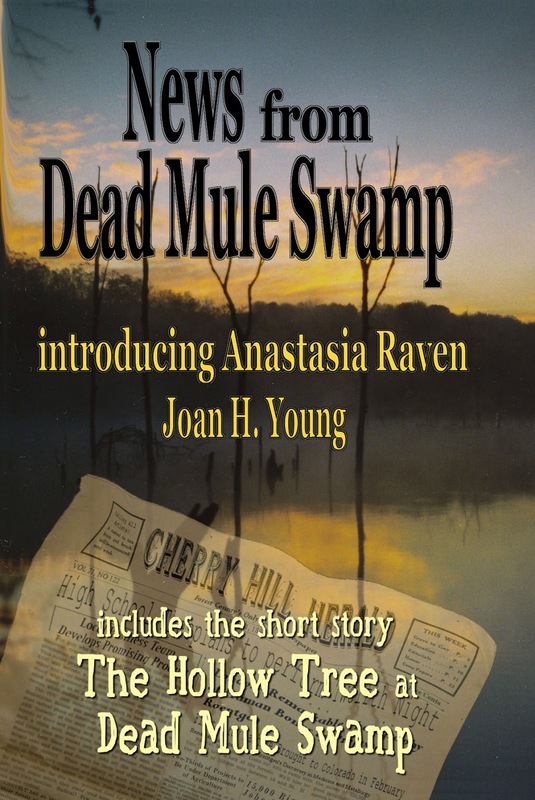 A lifetime spent in small towns and the real-life existence of Dead Horse Marsh sparked the chemistry to create the fictional world of Forest County in the “northwoods.” The cast of characters that seem to keep people coming back to the Anastasia Raven books are Ana herself, Adele Volger- Cherry Hill‘s nosy grocery store owner with a heart of gold, Cora- the self-appointed county historian in overalls, Jerry- owner and editor of the Cherry Hill Herald, and young Jimmie Mosher who is introduced in the second story- The Hollow Tree in Dead Mule Swamp. In the Dubois Files, young Cora Dubois is best friends with the elder Jimmie Mosher (grandfather to the boy in the Anastasia Raven books). Their other friends include Laszlo Szep- son of the Hungarian tenant farmer, and George and Ruby Harris, African-American siblings. So what’s your game plan? 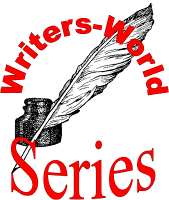 The Bigg Boss (Dubois Files #4) will be out July 21, in time for the Writers’ Rendezvous in Ludington, Michigan. I’ll be giving a program and will have books for sale at the Montague Library Aug. 8, then Manistee Book Expo Aug. 11, and Shagway Arts Barn (Ludington) vendor event Sept. 15. I hope to have Dead Mule Swamp Mistletoe ready to release for Christmas, and North Country Quest by early May. COMING SOON: Crazy Cat Lady Janet Vormittag is next at bat. Although June is fast slipping away, summer is just beginning. And that’s the way it is with authors like BiBi Belford who manage to keep writing better books. 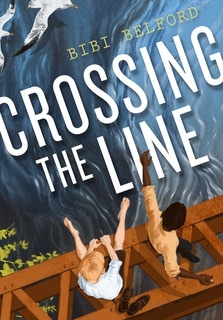 Crossing the Line, Belford’s current book for young readers, recently won a Christopher Award. And this fall, Belford releases her fourth book, Another D for DeeDee. When a student I worked hard to teach to read from Kindergarten to Second Grade saw me in Fourth Grade, he let it slip that he didn’t bother to read anymore because he couldn’t find books he liked. I just about had a heart attack. After I collected myself I fired a fastball at him. “If I wrote a book, would you read it?” I asked. “Yeah, but you can’t write a book,” he said. Well, guess what? I read the final chapter of my new novel, Canned and Crushed, the following year to that student’s fifth grade class and handed him a copy. He not only read it, he made his best friends read it, and started asking when my next book was going to be ready. My mission is to write the kinds of books my former students find relatable and with heroes they can emulate. I believe my readers will change the world into a better place. Considering the positions on a baseball team — such as catcher, shortstop, left field, etc. — which best describes the way you write and why? Right field. I think writing middle grade novels has quite a bit of variables, almost more than any of the other categories, just as the conditions affect the ability of the right fielder to make a play. There’s the wind (current trends), the sun (bright best-selling authors who get lots of publicity), the distance (keeping word count limited while still developing characters’ arcs and secondary plots with stakes and obstacles), and the condition of the playing field (bloggers and reviewers and librarians who must promote middle grade books since middle grader themselves don’t shop for books). Tell us about a recent home run. My latest book, Crossing the Line, a historical novel set in 1919, won a Christopher Award. Twenty-one Christopher Awards are given each year for media and books that “affirm the highest value of the human spirit.” I’ve never been more surprised in my life, especially since I’m represented by a very small publisher and my book missed the deadline for a Kirkus review when it was released. No one wins a game alone. Who’s on your team? I could list a whole bunch of people here, students, family, and friends, but a winning team needs a winning coach, arguably the catalyst for success. So my “coaches” have been my editors at Skyhorse. I’ve been lucky enough to work with four amazing women editors who believed in my books enough to sell them to their publishing teams, then work tirelessly to help me shape my messy arcs and wandering plots into a readable form. They solicit artists to create eye-catching covers, then fine-tune word choices, line edits and font close to perfection. Once done they celebrate my book “birthdays” and spend time promoting my book on social media, applauding positive reviews like proud parents. So what’s your game plan? My next book, Another D for DeeDee will be released October, 2018. It’s the story of DeeDee Diaz who discovers she’s a diabetic just as she’s coping with transferring to a new school and trying to solve the mystery of her dad’s disappearance. When she meets a new neighbor who’s deaf she finds out she has a lot to learn about diversity and acceptance, before she can accept herself and “be a friend to have a friend.” I love to do school visits to talk about being an author and get kids excited about writing their own stories. Although the Writers-World Series is not about baseball, the summer-tinged name has attracted the interest of some baseball fans including Illinois author Tom Hernandez. I met Tom a million years ago when he was a college student and talented intern at the Joliet Herald-News. He sent me one of his more recent short stories about a baseball game he enjoyed with his daughters one Father’s Day a few years back. I figured my readers should get a chance to read this delightful story, “The Margarita Man,” because it captures so much about fans and family. Just click on the link. And then come back and read Tom’s interview for the Writers-World Series. Happy Father’s Day to Tom and all the fathers out there! Tom Hernandez and daughters Emma and Olivia. My writing explores the many complicated facets of life — marriage, family, parenting, faith and politics. The world is not black and white – we live in a thousand shades of gray. My writing reflects all of it. Considering the positions on a baseball team — such as catcher, shortstop, left field, etc. — which best describes the way you write and why? Pitcher. I throw out thoughts to get the game going. fundraisers for groups. Just did one for a local library’s foundation. Always great fun. COMING WEDNESDAY: Bibi “On-The-Ball” Belford is about to release her fourth book for young readers. She joins our Writers-World Series. Don’t miss it! Liar, liar. Pants on fire! Lies, deception and “fake news” are the hottest topics of 2018. Which makes Laurie Ayer’s first book, Drive-Thru Deception, very timely. Whether you are trying to figure out if your husband is cheating, or the used car salesman is pushing lemon, or just trying to make sense of the nightly news, Laurie’s little book teaches you how to spot red flags in the language that may indicate deception. Drive-Thru Deception is a handbook of how to uncover deception using words instead of body language. It is the ultimate pocket guide that liars don’t want you to have. Considering the positions on a baseball team — such as catcher, shortstop, left field, etc. — which best describes the way you write and why? Definitely shortstop. SS is considered to be among the most demanding defensive positions. This position requires speed and agility, with a strong arm to throw out the batter before hitting first base. Likewise, the ability to tell if someone is lying also requires speed and agility. My book was written to be a quick read, 1-2 hours tops cover to cover. In this busy world, few have time to kick back and enjoy longer books. My style is quick and dirty. Why take up five pages to say what could be learned in two paragraphs? Tell us about how you earned your spot in the Major Leagues: There are very few people who do what I do, analyze written and verbal statements for deception using a method called forensic statement analysis, which is the most accurate method to determine credibility. 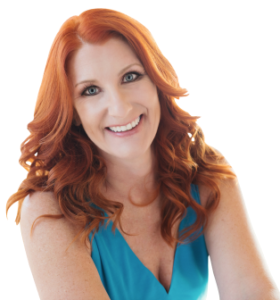 Some of my credentials include certification in Statement Analysis® Interviewing Techniques and I am a certified delegate of the Paul Ekman Institute in Evaluating Truth and Credibility, Emotional Skills and Competencies and Train the Trainer. 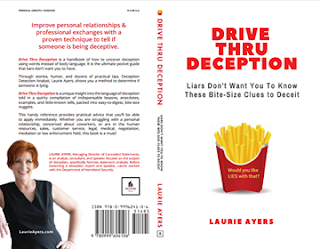 I wrote Drive-Thru Deception to give all readers a sampling of my extensive deception detection training in quick, practical tips that they could implement in their personal and professional lives. No one wins a game alone. Who’s on your team? My key infielders were Kent R. Jones leading off as Substantive Editor; Elizabeth Wiegner positioned as Proofreader; and Melinda Martin brought it home as Interior Designer. My outfielder was RICHARD Reese, who published this fine playbook. So what’s your game plan? The Headline reads: Streaker Runs on Field, Exposing Herself to Crowd After Home Run. My game plan is all about continued exposure. In Field of Dreams, Shoeless Joe Jackson repeatedly says, “If you build it, he will come.” However, in authoring, the readers and the buyers will not come simply because I built it. The writing and getting published was the easy part. Marketing and exposure is a continuous effort. My latest efforts are concentrated on exposing myself to more people (I’m talking about my book, of course). I’m focused on getting into more bookstores. Right now Drive-Thru Deception is available through my website, www.LaurieAyers.com for autographed copies, Amazon, Barnes and Noble, Schuler Books in Grand Rapids and I’m working with some other bookstores throughout Michigan. COMING SOON! 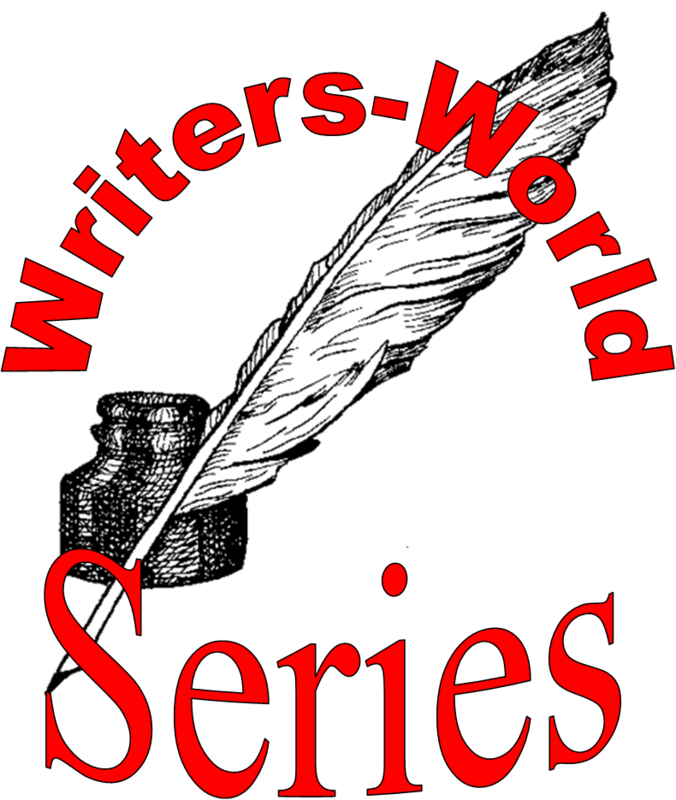 Illinois author Tom Hernandez joins us Wednesday for the next game in the Writer-World Series. If you’d like to get a taste of Tom’s work, you’ll find a link to one of his short stories, The Margarita Man, listed on the side column of this blog.